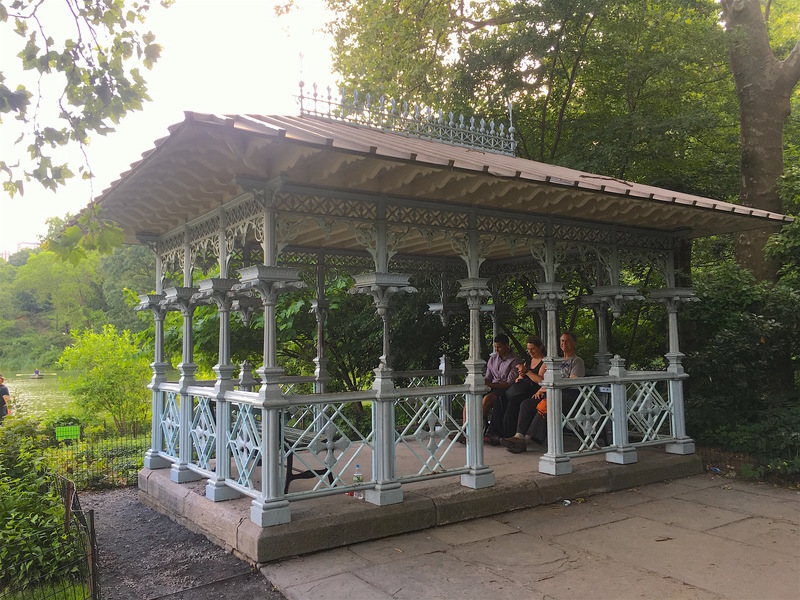 This entry was posted on June 19, 2017 at 6:16 am and is filed under central park, Transit. You can follow any responses to this entry through the RSS 2.0 feed. You can leave a response, or trackback from your own site. 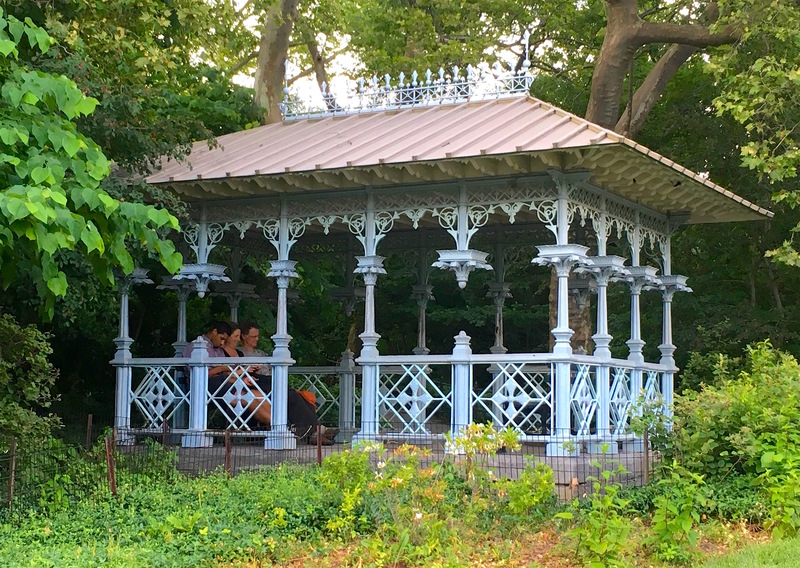 Actually, the Pavilion & Hernshead are quite easily accessible a short distance from the main path that parallels the east side of the West Drive just south of 77th Street. The Ramble and its “woodsy footpaths” are on the opposite side of the Lake. This is so interesting. 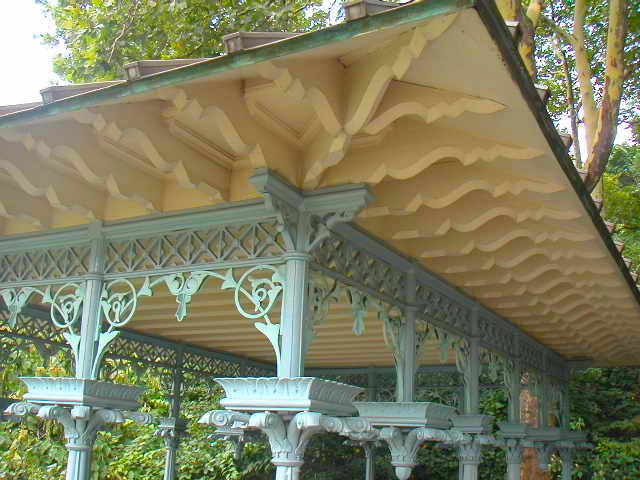 Yet another place/thing I have never heard of/seen all these years (emphasis on ‘all’). 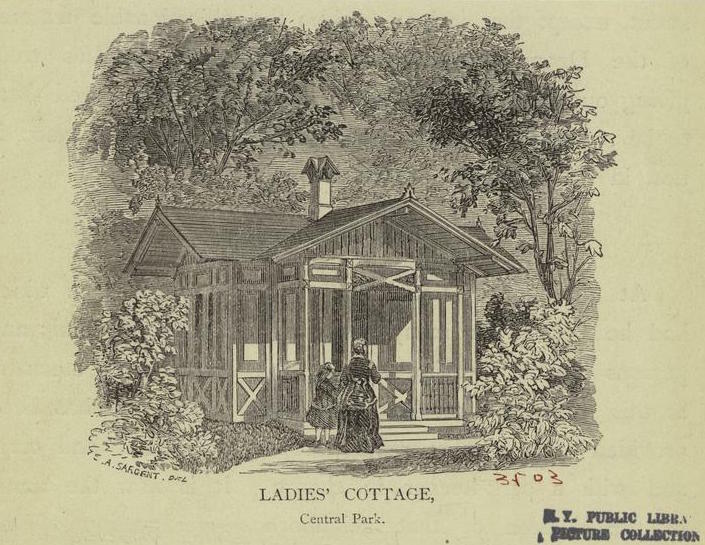 Our Central Park Walking Tour [http://walkaboutny.com/the-tours/central-park-walking-tour/] includes a stop at the Ladies’ Pavilion. 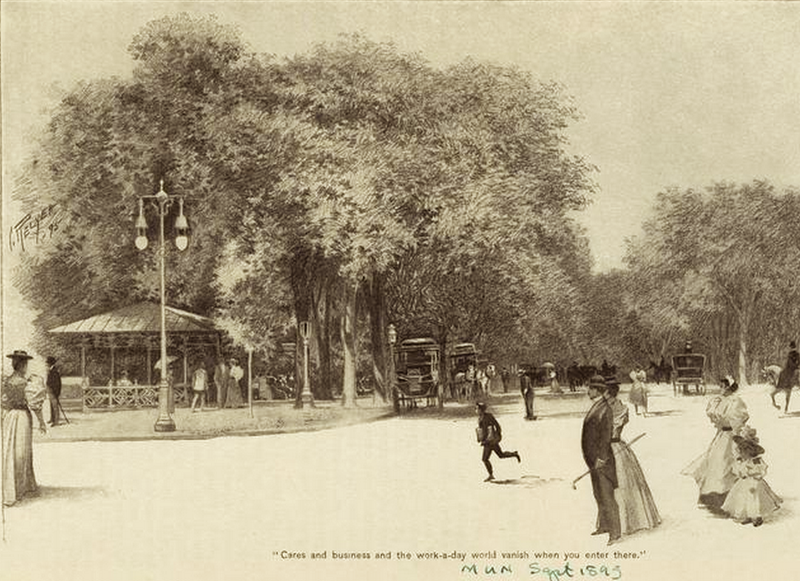 In coloring and style it resembles the Lombard Lamp, near the Park’s formal entrance, 59th St. and Fifth Avenue. Take the Tour: Know More! Thanks Walk About! Sounds like a very cool tour.